of your Bed & Breakfast accommodation on beautiful Tamborine Mountain…. Take exit 57 off the M1 Motorway, follow the Oxenford-Tamborine Road to Eagle Heights (do not turn on to Welches Road). Turn right into Gallery Walk at the Fig Tree round-about, then left down Eagle Heights Road, left into Central Avenue, right into Cliff Way and then right into Witherby Crescent. 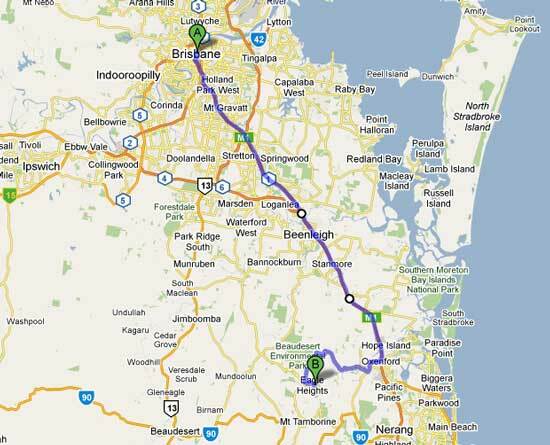 Please click on the Map to the left to view a suggested driving route from Brisbane directly to Tamborine Mountain Bed & Breakfast. 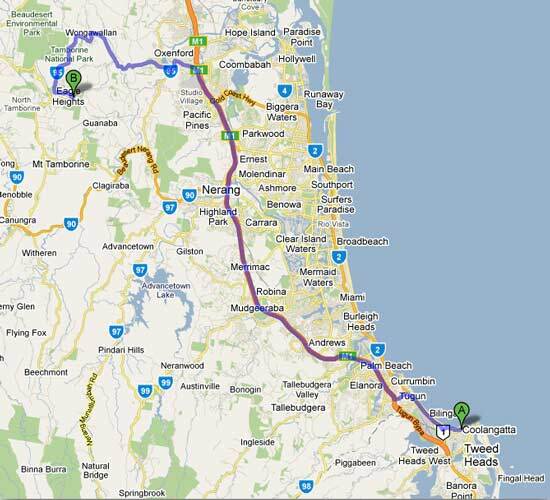 Please click on the Map to the left to view a suggested driving route from Coolangatta directly to Tamborine Mountain Bed & Breakfast. 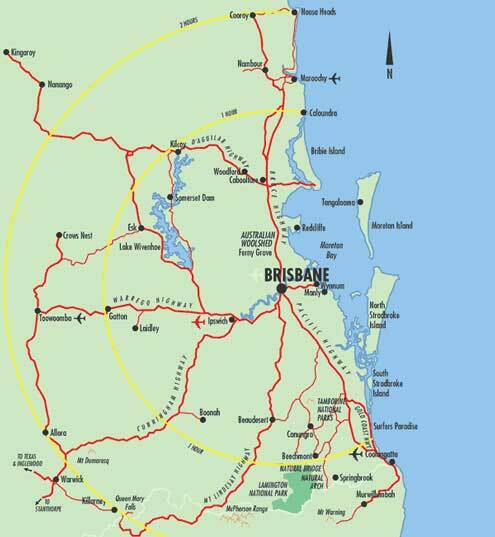 South East Queensland Regional Map showing location of Brisbane and Coolangatta domestic / international airports and where Tamborine Mountain is located in respect to Brisbane and the Gold Coast. 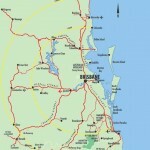 Please use the interactive Google Map below to further plan your trip by road or just explore Tamborine Mountain and its surrounds from the location of your Tamborine Mountain Bed & Breakfast.